NEW YORK—Senior Myanmar military officials, including the commanders of its defense services and army, should face trial for crimes against humanity over the treatment of Rohingya minorities, Amnesty International said in a report on Tuesday. Amnesty called for the United Nations Security Council to refer the report’s findings to the International Criminal Court (ICC) and impose a “comprehensive arms embargo” on the Southeast Asian country and financial sanctions against senior officials. Contacted late on Tuesday, neither the Russian delegation to the United Nations, currently presiding over the UN Security Council, nor the Myanmar Mission to the United Nations were available for comment. A spokesman for the Myanmar government also was not available for comment. A separate Reuters special report on Tuesday gave a comprehensive account of the roles played by two light infantry divisions in the offensive against the Rohingya. The report also named eight other military members and three members of the Border Guard Police. A spokesman for the Myanmar military was not available for comment. In Myanmar, Rohingya are widely called “Bengali,” which they see as a derogatory term implying they are illegal immigrants from Bangladesh. Despite many Rohingya tracing their roots in Myanmar back generations, they have been denied citizenship. Amnesty called on Myanmar to halt restrictions on freedom of movement and restore citizenship to the Rohingya. 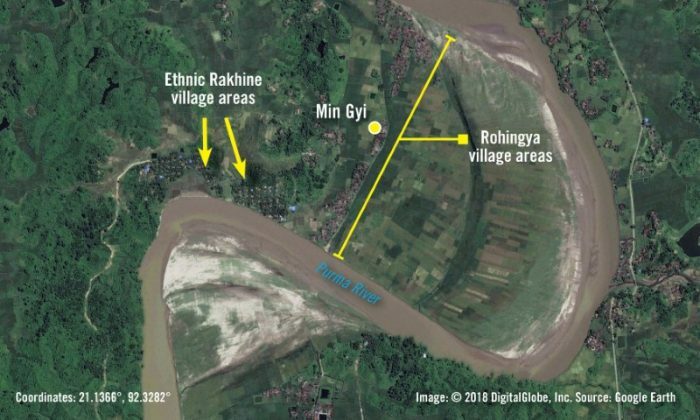 In February, Reuters reported on the killing of 10 Rohingya men and boys by Rakhine Buddhists and security forces in the village of Inn Din. Two Reuters journalists were jailed in December in Myanmar while reporting that story and remain in prison in Yangon, facing up to 14 years behind bars for allegedly violating Myanmar’s Official Secrets Act. Myanmar has rejected most accusations of wrongdoing and has said it launched a legitimate counter-insurgency operation after attacks against its military by Rohingya militants last August. In Myanmar there is no civilian oversight of military justice. The International Criminal Court, the world’s first permanent war crimes court, does not have automatic jurisdiction over Myanmar because it is not a member state. However, the ICC has already been asked to consider a separate case dealing with Myanmar allegedly deporting Rohingya to Bangladesh, which is an ICC member state. The ICC did not immediately respond to requests for comment outside business hours in The Hague. If the UN Security Council referred Amnesty’s findings to the ICC, it would also grant the court jurisdiction to investigate.